Hello there, Fei here. It’s been a while since I didn’t appear in my sister blog (my previous post: 7 Referensi Tempat Kekinian di Jogja). At this chance I would like to share with all of you, about some interesting destinations in Ubud and best places to stay while you are in Ubud. Let’s start with the destinations. Campluhan Hill is a really beautiful meadow hill that actually located near to the Ubud main street. It can be reach within 8 – 12 minutes by motorbike from Puri Ubud. 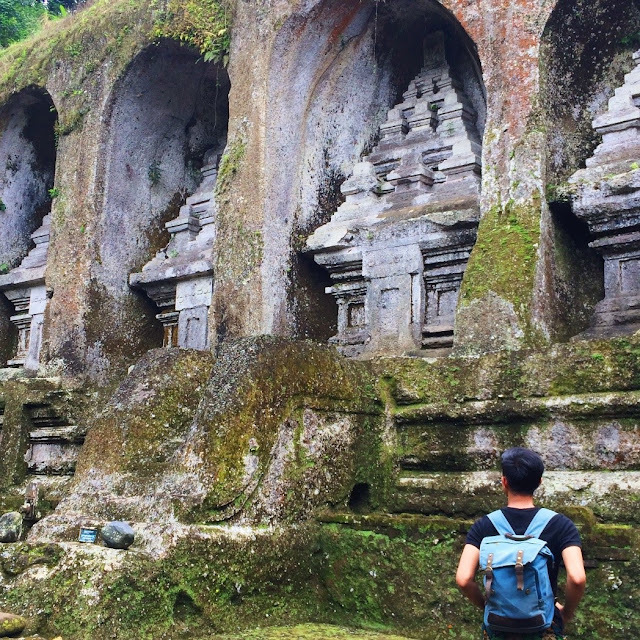 Recently this destination had turned into one of the best jogging tracks in Ubud. The best time to visit Campluhan hill is when the sunrise time. You should be ready at around 05:30 AM if you are staying around the Puri Ubud. The track would start with a very beautiful Pura. during your way to the top of the hill the fresh air, wildflowers, song of the bird and the sound of the rivers will welcome you. At right 06:00 AM you may have reached the top of the hill and enjoy the beautiful sunrise there. 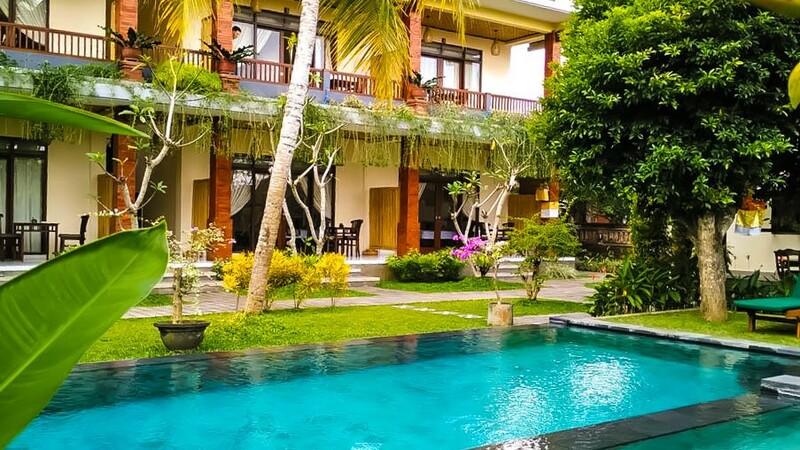 This Pura located right at the heart of Ubud. This Pura located between Ubud Starbuck and Café Lotus. At this Pura you could enjoy the beautiful lotus pond that well maintained. 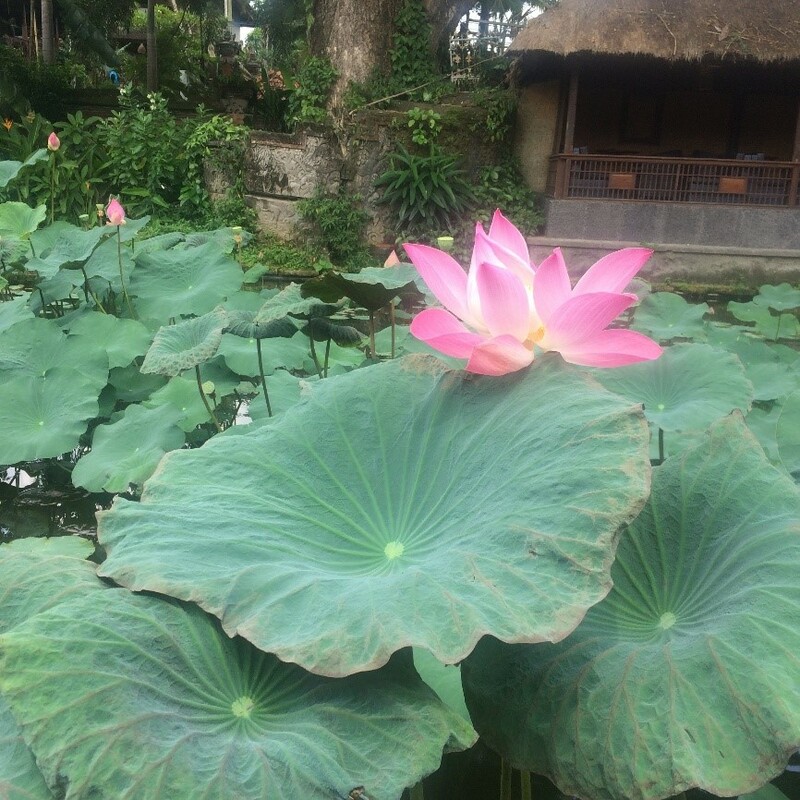 You could have your lunch at Café Lotus or Starbuck as the beautiful lotus pond could also be seen there. 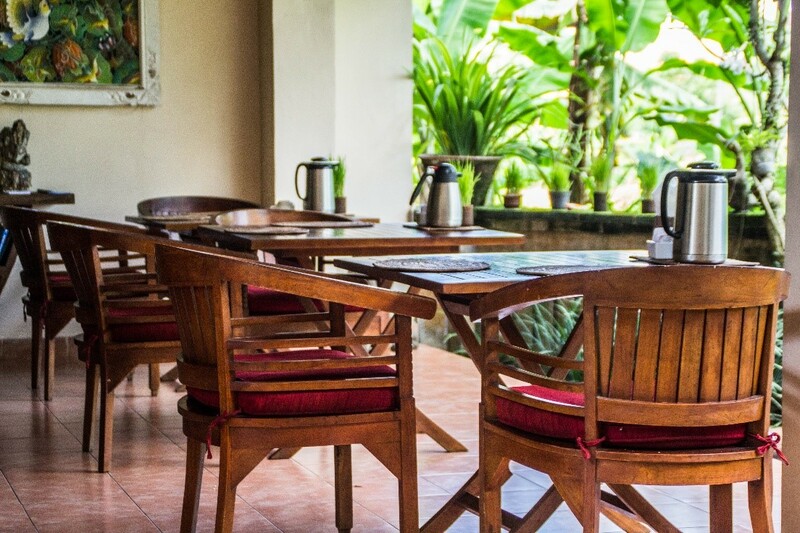 Seniman Coffee is one of the most famous coffee shop in Ubud. I knew this place from my friend that also a Barista. Their Coffee menu actually same with another coffee shop. The special thing in this coffee shop is that they have their own secret coffee bean and coffee making standard. I was experiencing it myself as the cappuccino that they made for me was just so good. 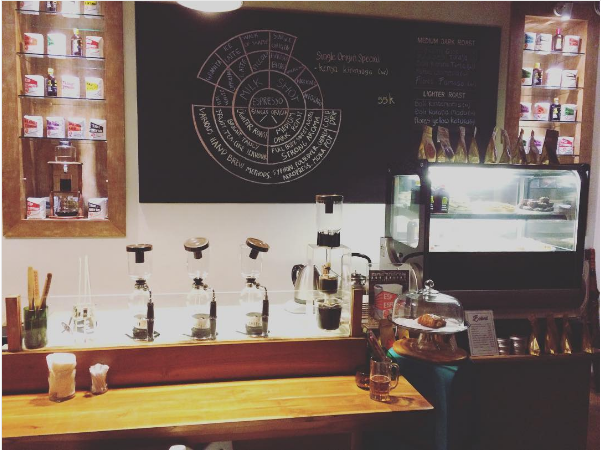 The interior design of this coffee shop was also beautiful, simple, cozy, minimalist and modern. This place is one of the “must visit destination in Ubud”. 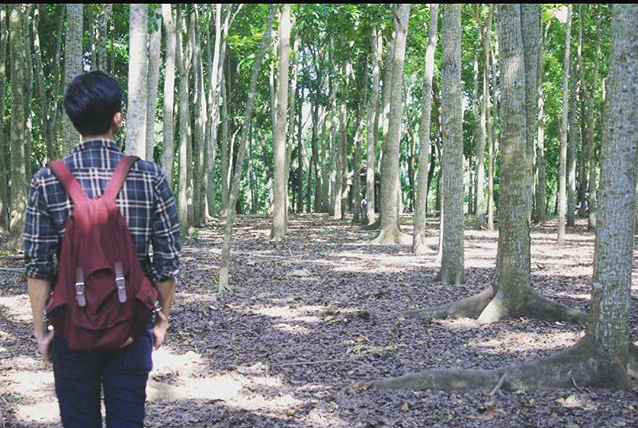 This forest located at the downtown, so it’s easy to reach this destination. By visiting this place you could enjoy the beautiful forest along with the unique Bali long tail monkey behavior. The monkey in this destination is kind of calm monkey. They already habitual with human presence and some of them love to climb people shoulder just for fun. When you visit this place, you could feel no worries about your safety. There are hundreds of staffs that will always available to take care the visitor. Just in case something happens, the monkey forest management had their own emergency clinic and standby car should come if accident happen. If you would like take a picture with the monkey, the management prepares a banana with extra charge. Once you get the banana the monkey will directly climb to your shoulder and eat it there! Let’s not forget that it is prohibited to feed the monkey with any food except it is from the management. As the monkey had already had their own diet for their health. The Monkey Ubud Forest ticket price is at IDR 40K, the banana available at IDR 25K. This destination open daily start from 08:00 AM – 05:00 PM. Pura Gunung Kawi located a bit far from the downtown. You need around 30 minutes travel by motorbike from Ubud downtown till arrived at this destination. The Pura gunung Kawi is one of the most beautiful temple in Bali as it very unique architecture and surrounded by beautiful rice field along the Pura area. The most interesting part of this Pura is that there are many giant boulders that chiseled into a big beautiful temples. To get into this pura you only need to pay a ticket at IDR 15K. 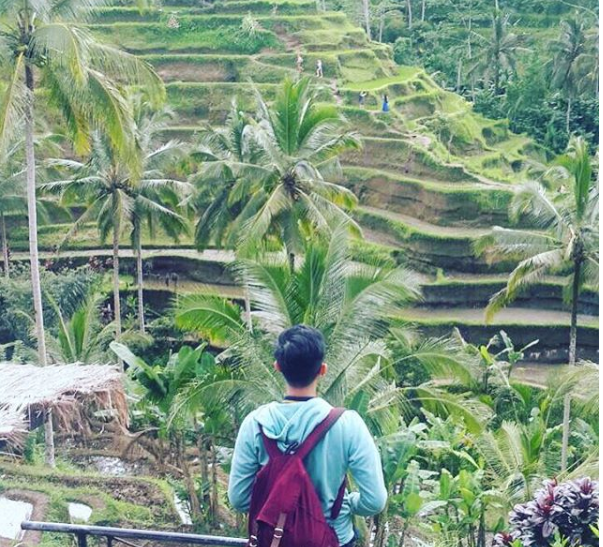 Thid destination offers you a very beautiful rice terrace. Tegalalang Rice Field also already taken as one of world cultural heritage by United Nation due to its beauty. While enjoying the terrace beauty, you can choose one of many restaurant around the destination. 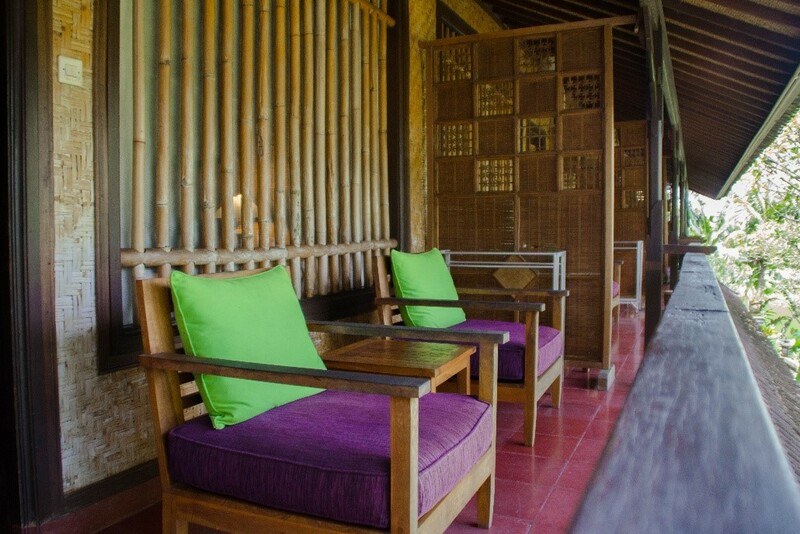 Thus, we can enjoy our lunch here while seeing the amazing rice terrace view. During the harvest season you could see that all of the Tegalalang rice field terrace turns into golden. The best moment to visit this destination is in the morning or at late afternoon around 03:00 PM. 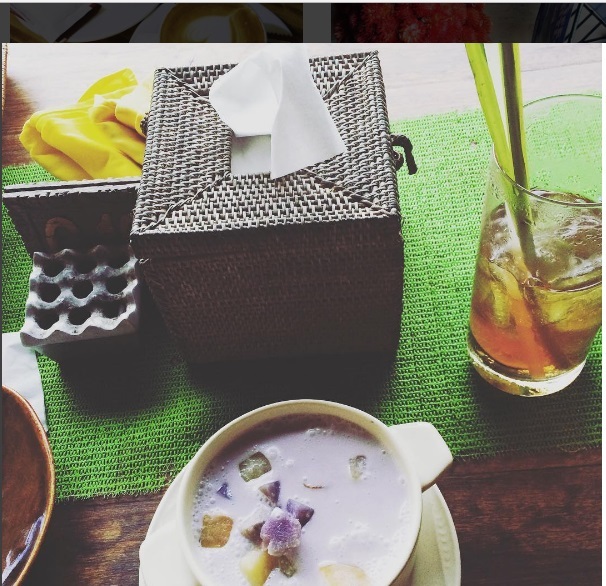 During my vacation in Ubud I was stayed at 2 different Homestay under UHSA (Ubud Homestay Association) management. Yap it was a homestay, not a Hotel or Villa. Maybe some of you think that staying in a homestay would give a horrible experience. But it doesn’t apply for any homestay under UHSA Management. 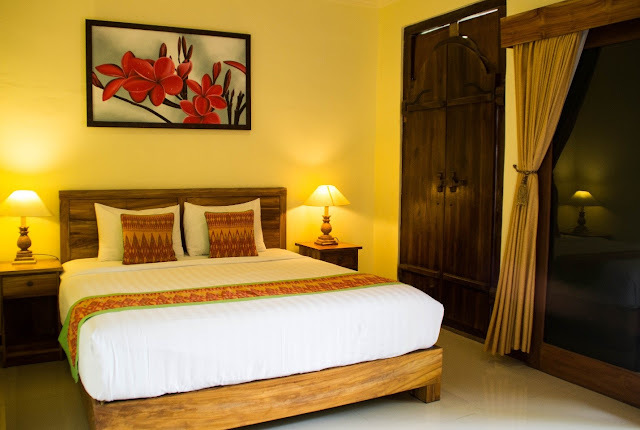 UHSA is a homestay association that created by native Ubud homestay owners in order to provide an affordable, clean, and well maintained rooms and service standard Accommodation. 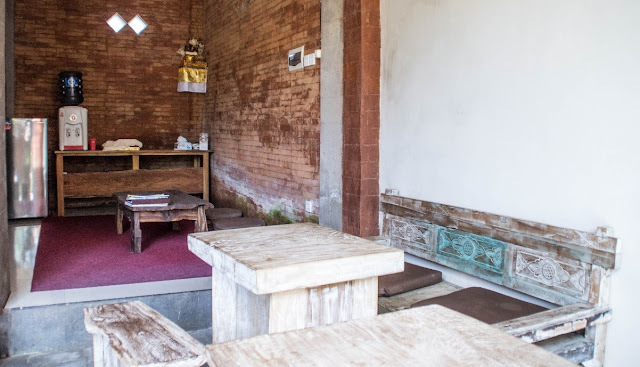 Every homestay under UHSA also have a purpose to make every tourist that stays with them could feel the real Balinese ambience, culture, and atmosphere. You shouldn’t worry regarding the room facility since they also already have a hotel standard for their guest rooms, event some homestay having a really good room that may match 4 stars hotel standard (of course the room rate of this type of room will also a bit higher than other). If you really want to have an escape from your daily life, staying in UHSA’s Homestay is highly recommended. They ready to give a peaceful accommodation experience to you. At the moment UHSA already has up to 20 homestays under its management, every homestay has a different uniqueness, but let’s not forget a well maintained service and room standard. At the moment their website is remain under construction and online booking is not available yet. However, you could remain checked the room detail and price range on the website. 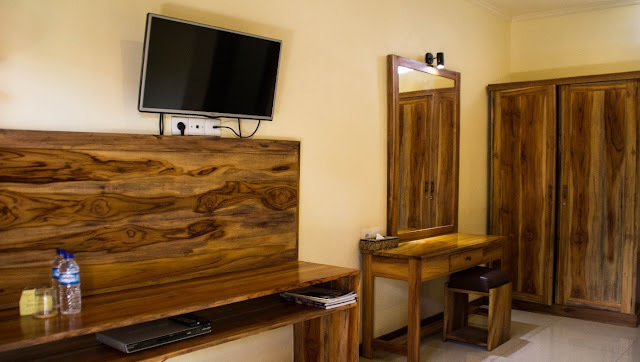 If you need further information, or would like to reserve a room, you could send the inquiry to the email address that also detailed on the website. They will gladly to assist any of your inquiry. I would start sharing my experience staying at Jati 3 Homestay and Tebesaya Homestay. 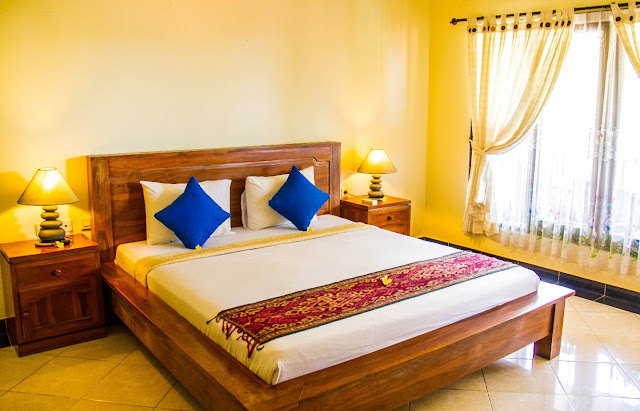 This Homestay offer a very genuine Bali atmosphere and theme. By staying in a homestay you can own a beautiful rice field as your view. You can enjoy frog singing at night and beautiful birds will continue the song in the morning. Jati Homestay room rate is at IDR 250K inclusive breakfast. This room rate may change any moment, but if you need to know the fix rate, just send the email to UHSA and they will gladly to give you some good price. 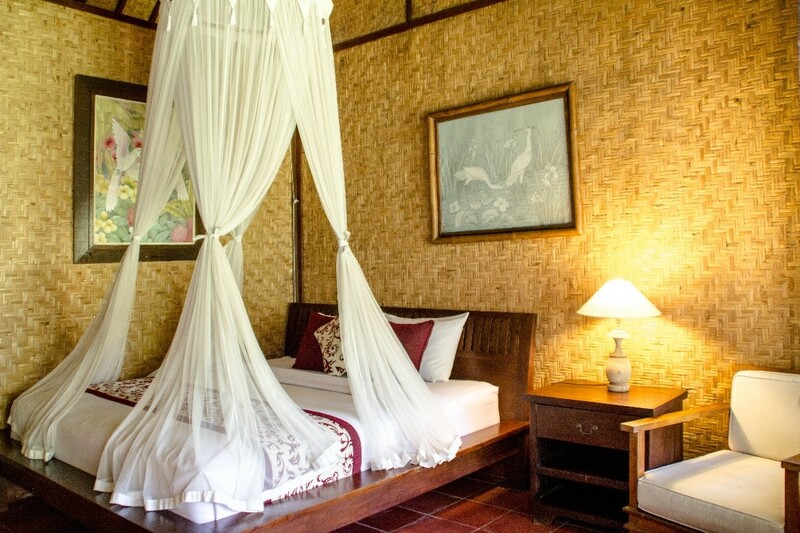 Every guest room wall made from a bamboo shoot, make you could feel how was Balinese traditional people’s life. Due to it is made of bamboo shot we could directly feel the warm sun in the morning and sweet breeze in the night. They provide both of twin or double bedroom for guests. If you may come with a family, there is a room that has 1 double bed and 1 single bed in it. Thus, this room could accommodate until 3 person. When you go inside the room, you’ll feel so comfortable like living in a peaceful traditional village. Daybed also available in the front of the room. I was really loving to sit there, read books and hearing the sound of nature. Their room also has a hotel standard as it has a hot and cold water, bathtub, wifi and many others. To reach this guest house, you must firstly pass a narrow road from hanoman street. It’s not more than half minute walking from the narrow road till you find the homestay. Yes, car can not go inside, but you could remain parked it at the St. Hanoman. This homestay actually located very strategically, it’s only 500 M from the famous Ubud street and 5 minutes by motorbike in order to reach the heart of Ubud. So it’s easy to reach many interesting Cafes in around the heart of Ubud such as Umah Pizza, Anomali Coffee, Seniman Coffee and many others by staying in this guest house. Next, let’s talk about the breakfast. personally I could say that I was so satisfied with the breakfast. 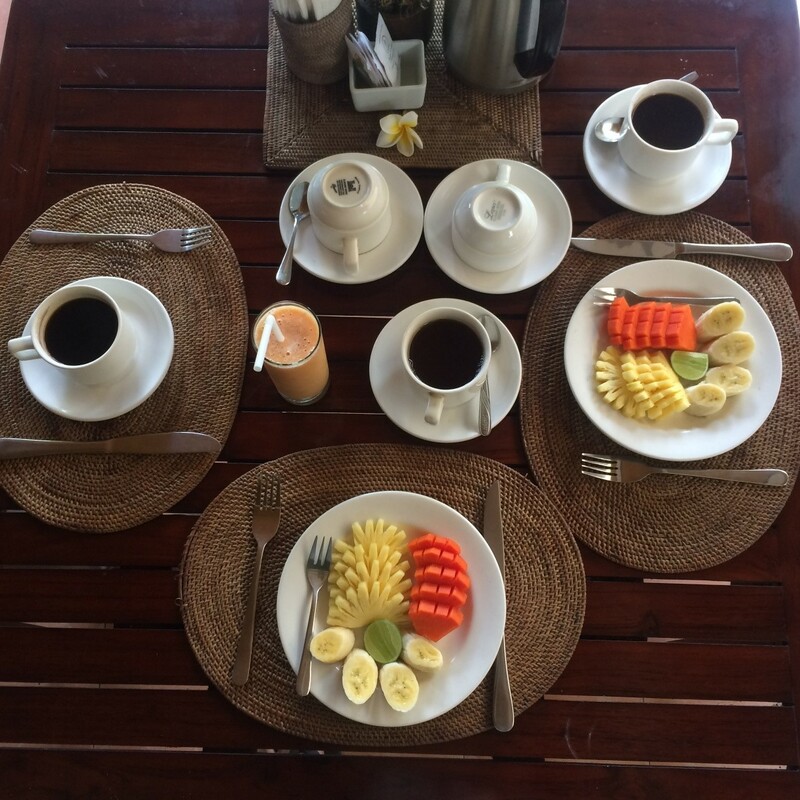 It start from 8 AM - 11 AM, the breakfast course would begin with tea or coffee continued with fruit salad or mix fruit juice and closed with the main course. The main course menu will be changed everyday. So you will keep wondering what is the main course everyday. 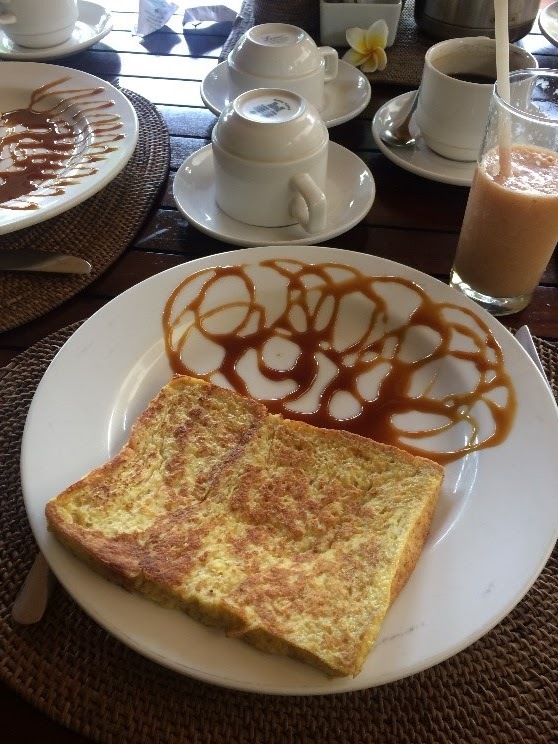 On my first day they served me with a hug sliced wheat bread that pan fried along with eggs and dressed with coconut sugar. It was taste so good and satisfying. The second day they serve me with a bunch of deep fried wheat bread serve with sliced tomatoes and a ton of tasty scramble egg. This one also tastes so perfect. No word could express Tebesaya except “home”. 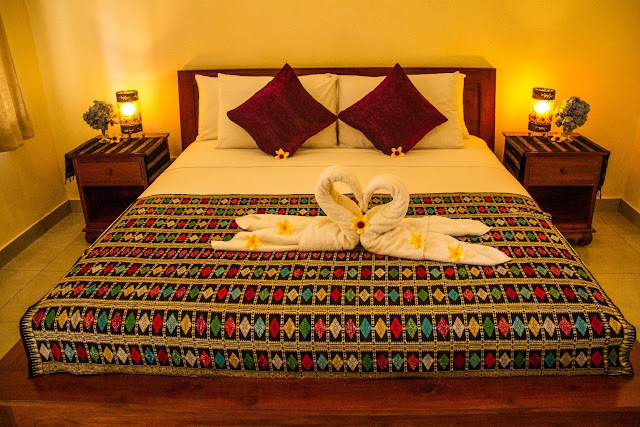 This homestay really offer the tourist with a very Bali local home atmosphere concept. The guest room building located besides of the owner own house. This guest house managed by their family member also. At the afternoon I was really love to have a chat with Ibu Putu, the guesthouse owner and also staff. With very kind and glad she accompanies me and explained about a lot of Balinese culture and good destinations in Ubud. There are also a small public living room where we can make coffee, tea or water for free all day. In this small living room, the guest usually had a chat with Ibu Putu. Seeing Ibu Putu’s daily activities was also amusing, She may prepare breakfast in the morning or creating an offering in the afternoon. I was even learning how make a simple Balinese offering. The breakfast menu always changed everyday. You may also ask some menu directly to Ibu Putu. Unfortunately, due to my very early schedule for tracking at 06:00 AM in the morning, I couldn’t enjoy the full Bu Putu’s breakfast Dishes. 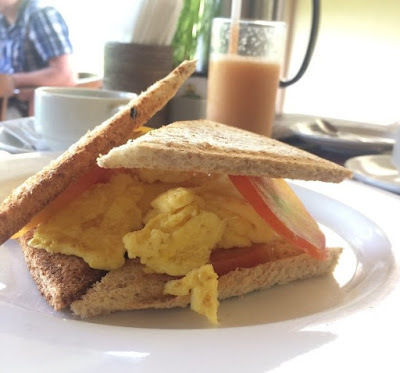 However, as she knows that I would have an early schedule, she prepared a take away breakfast for me, it’s a delicious double wheat bread with scramble egg and some fruit. Oh, so glad to have her. Although from the outside Tebesaya looks like an ordinary house, actually they had a Hotel standard guest room. You can find LCD TV, AC, Shower, Full furnished room, Hot and Cold water, balcony, wifi and many others. Its room rate is only at IDR 350K. This room rate may change any moment. And if you ask UHSA directly you may could get some best rate. Just like Jati Homestay, Tebesaya also located at a strategic area, its only 1 minute to reach the ubud main road and 5 minutes to reach this homestay. This homestay also located 500M from Bale Banjar. It's like a hall that used by Balinese people to doing a lot of activities. Luckily, when I was passing the Bale Banjar there was many women practicing Balinese dance. It was such a nice experience to enjoying this real activity goes on. That was my experience staying in 2 of UHSA management homestay, actually UHSA had many other properties that also very interesting and unique. 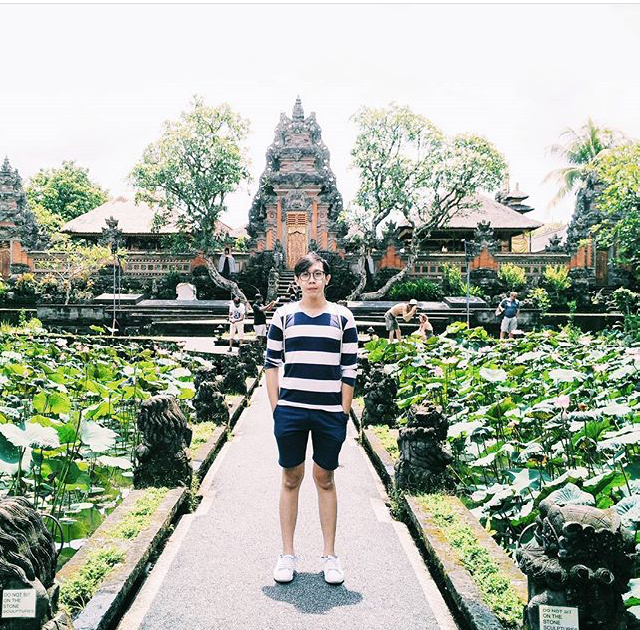 let’s say like Gunung Mertha and Omah D’taman that having a Balinese Cooking Class or Nyoman Sandi Homestay or Adi jaya that offer the guest with Great room and atmosphere like you really stay at your own villa (with a better price hahahah :D). 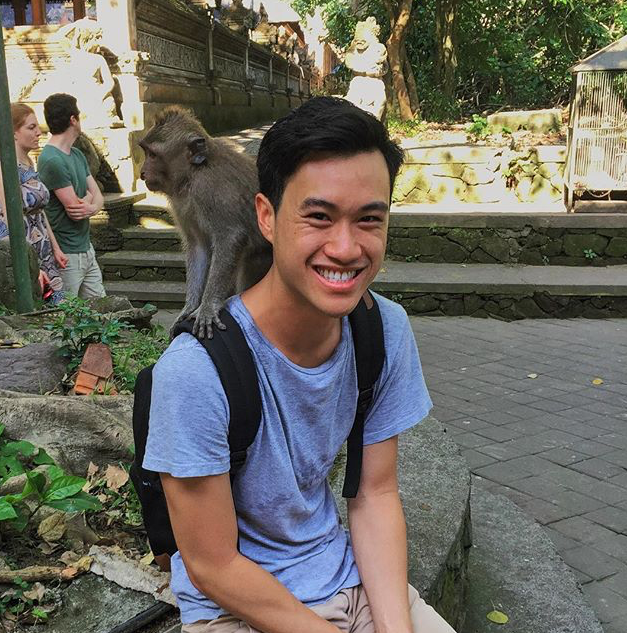 At the moment I just really want to try another UHSA’s Homestay as they will always could offer you with their uniqueness and a very Balinese Hospitality. 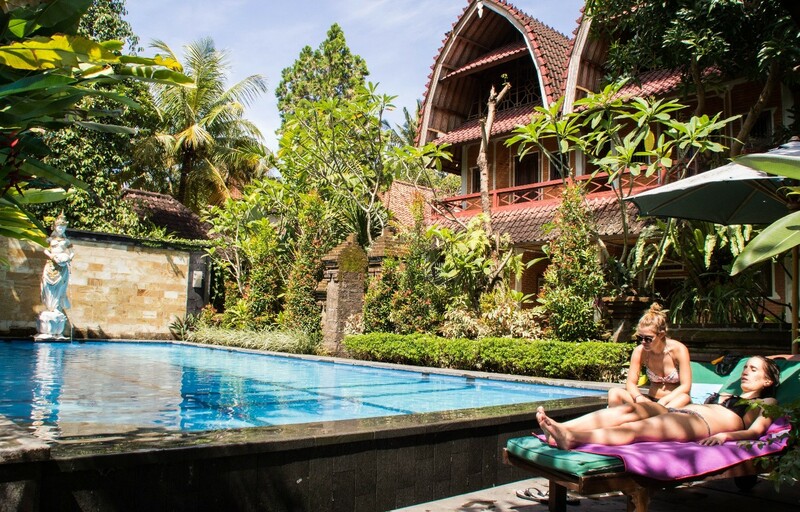 Hopefully this article may help you in order to give some accommodation and destination reference once you would like to stay in Ubud. That’s all from me, let’s hope we’ll meet again at the next occasion. belum pernah ke ubuddd.. pankapan ajakin sih niaa..
kalau dah gini jadi kepingin kesana lagi, padahal 2016 pas ada PKB 2016 juga dh ke bali ..
Ternyata ada monkey forest juga di Bali. Setahu saya ada di Lombok mbak.